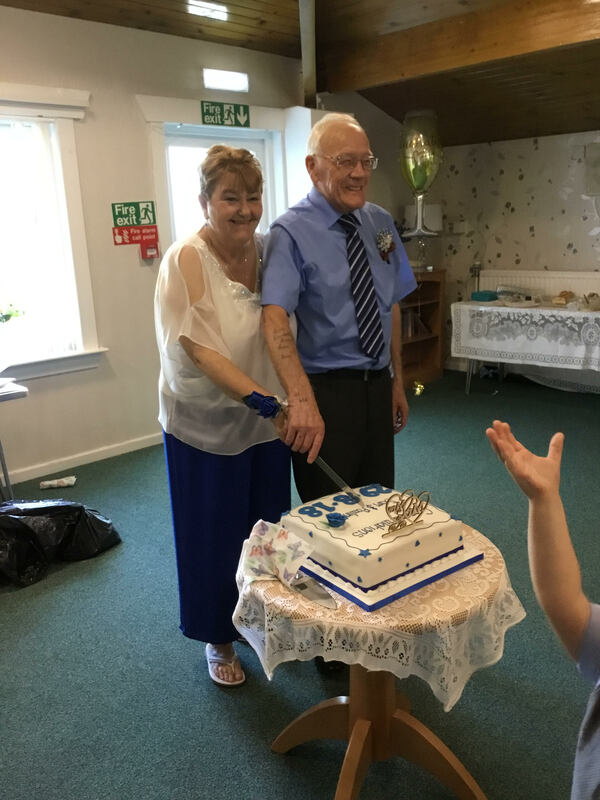 Two Dundee tenants who recently tied the knot at a retirement development have shared their advice on keeping the spark alive. Pauline Wyllie, 65, wed 72-year-old Tayport native Sam Wyllie during an intimate ceremony held in the communal lounge of Bield’s Rannoch Court. The lovebirds, who got married last August, first laid eyes on each other six-and-a-half years ago while living on the same street in Kirkcaldy, Fife. Pauline, who hails from Dundee, said: “He was my neighbour and he came over to help me decorate my house. We became close friends and it just went from there. Those in attendance on the big day included family and friends along with a host of tenants and staff from Rannoch Court. Pauline added: “I didn’t want a big white dress, this was my second marriage. I just wore a white top and three-quarter length blue trousers because it was too hot. Sam also looked smart, wearing just trousers, a shirt and a tie. After six months of marriage the couple could not be happier, with low key plans for Valentine’s Day pencilled in. Pauline said: “Valentine’s Day always falls on the day after my birthday so we will just have a quiet meal together - we’re really too old for Valentine’s at this stage. “My favourite thing about him? He’s helpful, caring and considerate. As for me, I think he would say I’m just perfect for him.